Our cozy little ones. Your own 4 walls, within optimally used approx. 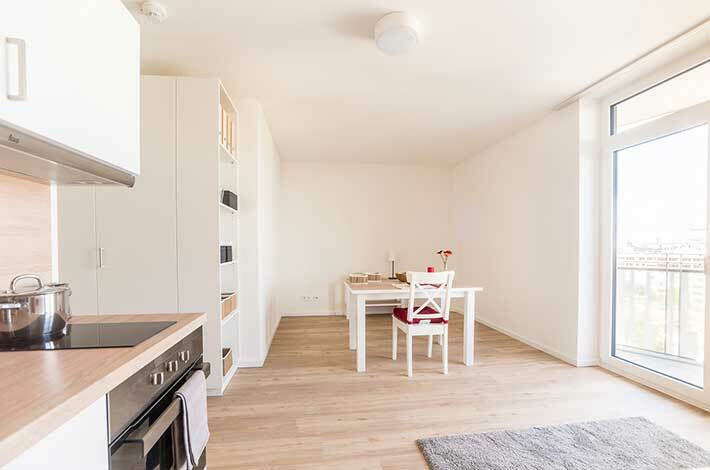 19 m². 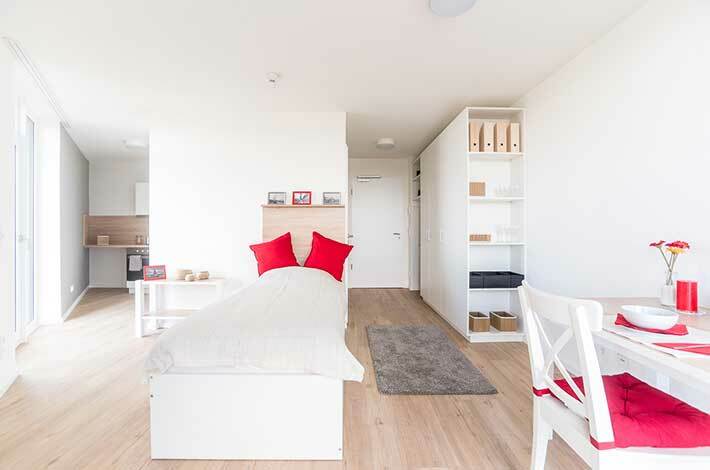 The modern 1-room apartments feature a kitchenette, a separate bathroom with shower, bright furniture and bright natural wood look flooring, as well as a balcony. Our medium size. Very practical with space saving interior on approx. 21 m². 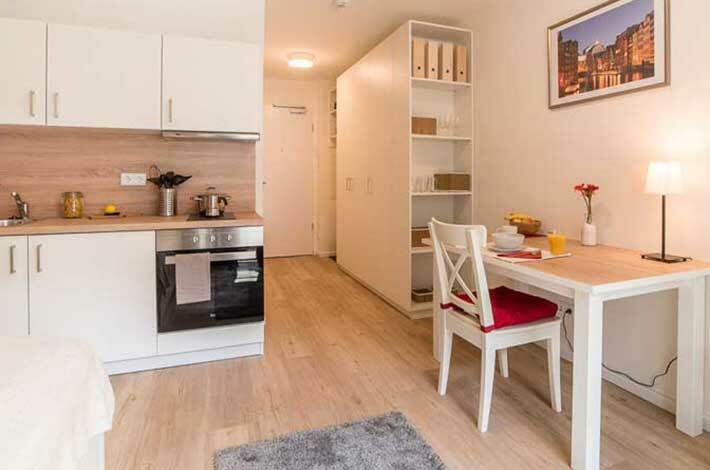 The modern 1-room apartments feature a kitchenette, a separate bathroom with shower, bright furniture and a bright natural wood look flooring, as well as a balcony. 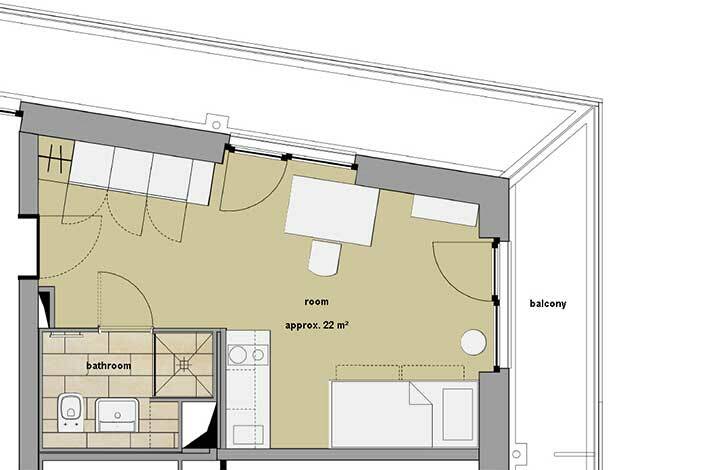 21 m² – want some more? Our biggest of the „small ones“. More quality of living does not fit in approx. 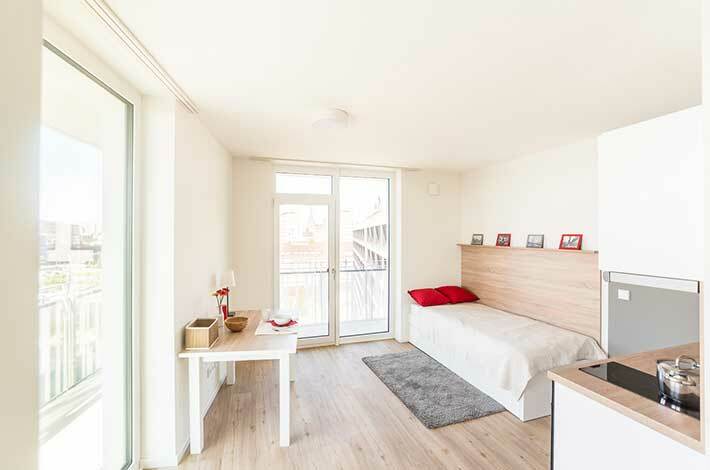 22 m². 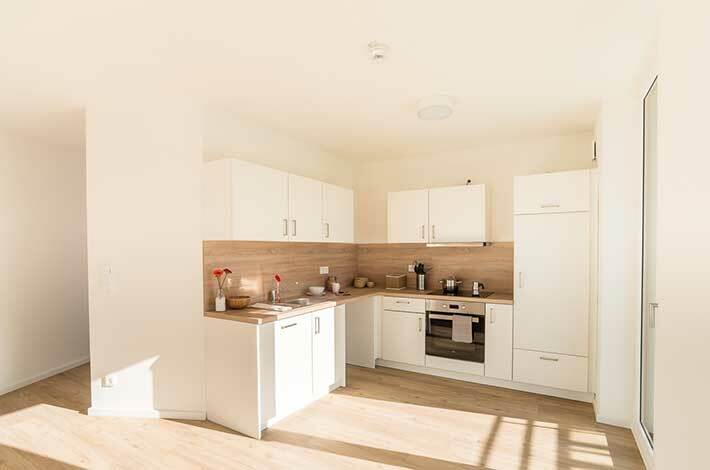 The modern 1-room apartments feature a kitchenette, a separate bathroom with shower, bright furniture and a natural wood look flooring, as well as a balcony. Our golden middle class. Approx. 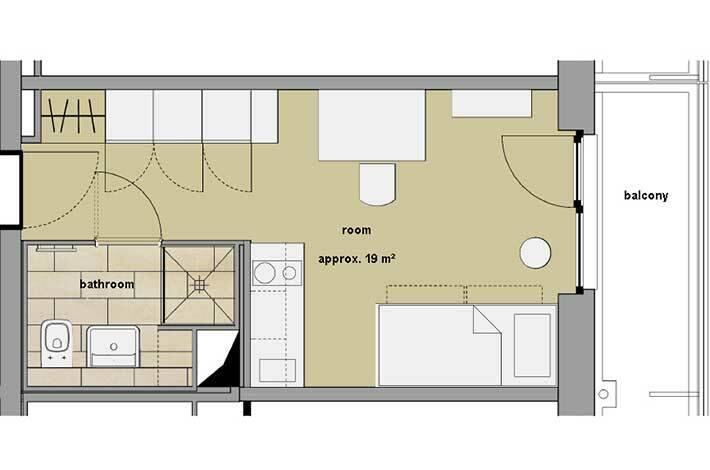 28 m² for a calm and comfort. 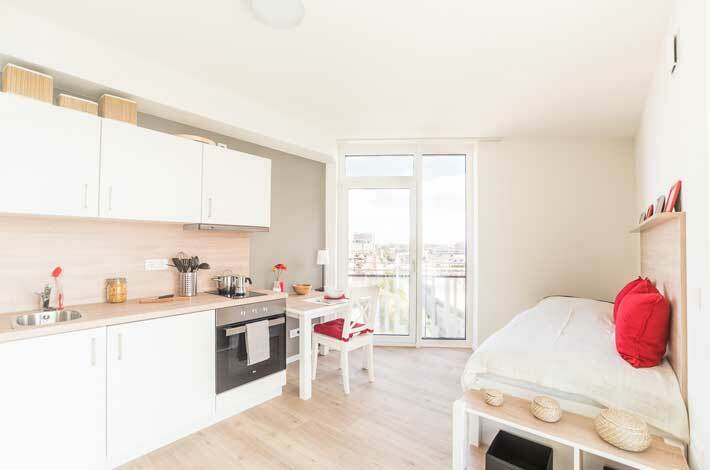 The modern 1-room apartments feature a kitchenette, a separate bathroom with shower, bright furniture and a bright natural wood look flooring, as well as a balcony. Our top dog. 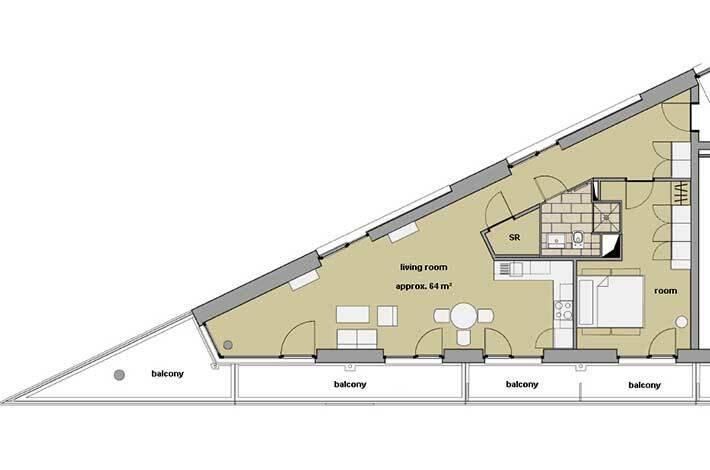 Great freedom on about 64 m². 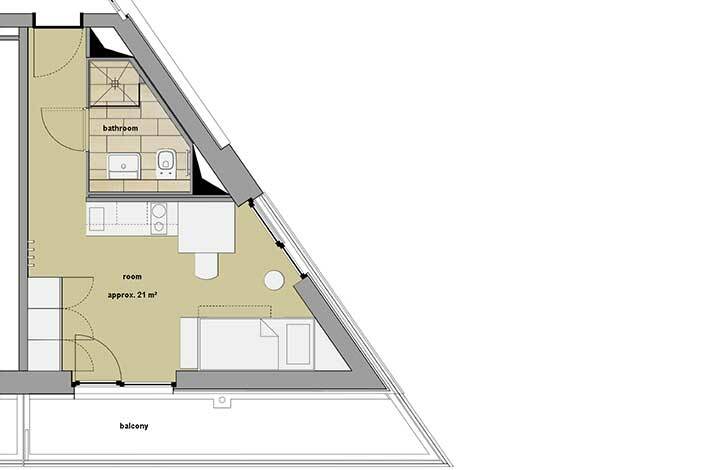 The spacious 2-room apartments with balcony feature a high-quality galley kitchen and a chic, modern bathroom. The furnishings can be designed freely. Our golden middle class. Approx. 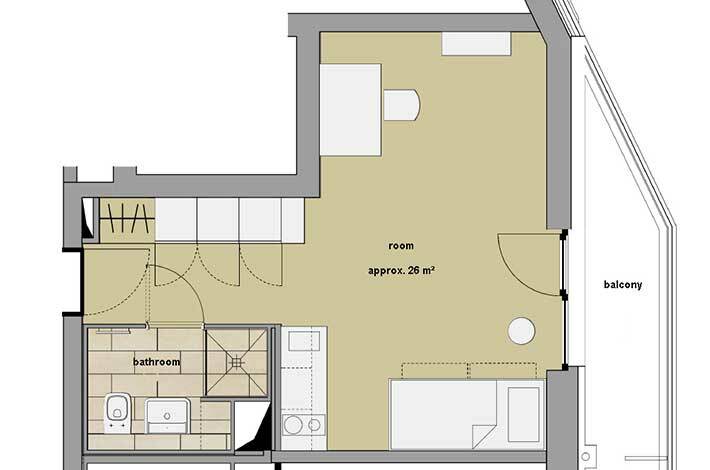 26 m² for calm and comfort. Of course we have more space – if needed. 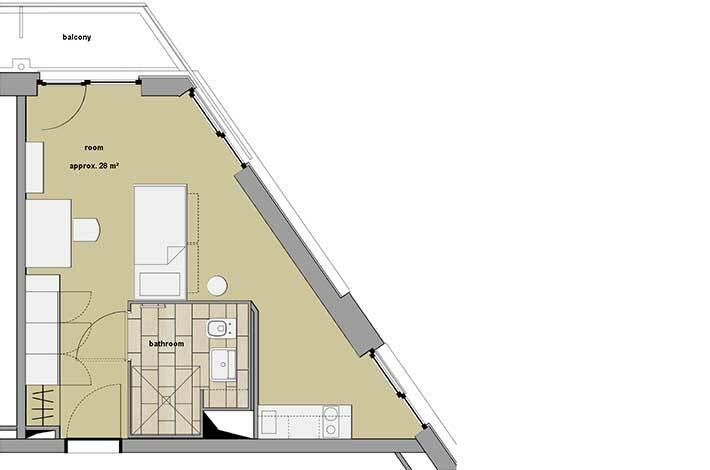 We have temporary storages on the ground floor (3-6 m²) which you can rent for 35 euros per month in addition to your apartment. Just ask us about them!